Keep your Toyota a Toyota by having Genuine Toyota SightLine Wiper Blades installed. These premium wipers have been extensively tested and optimized for top-of-the-line performance. And they guarantee you the fit, function and quality of a Genuine Toyota Part. That’s why we are proud to offer Genuine Toyota SightLine Wiper Blades at Rusty Wallace Toyota in Morristown, TN. 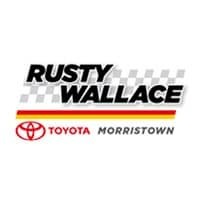 If you’re having a tough time seeing while you’re driving, then make sure you stop by your local Morristown Toyota Service Center at Rusty Wallace Toyota. We’ll gladly install Genuine Toyota SightLine Wiper Blades for you, because driving is more fun when you can see! We look forward to serving our customers from Jefferson, Knoxville and Cocke County.